What does a book columnist do for pleasure? Why, read books of course. Over the last several months I’ve had the good fortune to enjoy several top-notch books on a variety of subjects. Below, in no particular order, are three “Best Bets” for your enjoyment and illumination. Daniel Mendelsohn’s The Lost: A Search for Six of Six Million (Harper Collins) is a widely acclaimed narrative about the author’s quest to discover the fate of six relatives from the small Ukranian town where his maternal grandfather’s family had flourished for generations. There had been mostly silence in the author’s youth about his uncle, Shmiel Jaeger (the grandfather’s brother), whom he was said to resemble. And there was a great mystery about exactly how Shmeil, his wife, and four daughters died. Daniel Mendelsohn became committed to finding the answers and telling the story. His journey takes him not only to the town (called Bolechow by its Polish-Jewish residents) and its neighboring communities, but also to Israel, Sweden, and Australia. In these far-flung places, Bolechow exiles, survivors of the Holocaust, hold the bits and pieces of information that Mendelsohn seeks. The narrative is effective in combining factual and emotional detective work. Mendelsohn’s style is majestic, especially when meditating on the meaning of discovered fragments of fact and when describing the places that he visits. What he has to describe is not very pleasant: the unspeakable horrors that the Jews of this small town had to face, the complicity of neighbors who were thought to be friends, the tortured memories of those from whom the sought information is – sooner or later – revealed. Another aspect of Mendelsohn’s style, self-consciously developed, involves a shuttling back and forth in time and often moving by association rather than chronology. In this way, he reproduces how the searching mind operates in the process of discovery. A unique aspect of this book is Mendelsohn’s interlaced series of meditations on the famous stories in the book of Genesis. Sometimes interesting in themselves, these sections do not illuminate the moral dimensions of the Holocaust material, as Mendelsohn no doubt intends. But on the whole, this is a powerful achievement, its focus and particularity still allowing it to serve as a microcosm of the larger Holocaust catastrophe. The urgency of Mendelsohn’s quest cannot be missed. There are fewer and fewer people left to answer the questions of life and death during the Holocaust and to breathe life back into vanished communities. When I saw the title of Robert Stone’s new book, Prime Green: Remembering the Sixties (Ecco), I knew I had to read it. Why? First of all, Stone is one of my favorite writers. Of his seven novels, four rank high on my contemporary American fiction list. These are Dog Soldiers, A Flag for Sunrise, Outerbridge Reach, and Damascus Gate. The other reason is that I’ve become a sixties junky awaiting the energy flow that will bring forth my own memoir of that exciting decade. Maybe reading Stone’s book will help. Indeed, the maps of our lives during those years had some places in common, Greenwich Village and environs being the most important. Also, we were both aspiring writers, though Stone – about five years my senior – had turned the aspiration to solid reality by the decade’s end. Like Mendelsohn’s, Stone’s descriptions of places are superb. Not only are locales rendered with sensory power, but perhaps more importantly, Stone captures the nuances of the kaleidoscopic cultural environment. We visit New Orleans, Mexico, California, New York, Vietnam, and London – following Stone in his pursuit of his craft and his themes. Too often, unfortunately, we must tolerate the drug culture that he recalls with dangerous authenticity. This is the downside of the creative stew simmering through those years, somehow making the creative volcano possible. We follow Stone’s relationships with individuals like Ken Kesey and Neal Cassady, already cultural icons when Stone entered their orbit. We see Stone take on Grub Street jobs to make a subsistence living as a writer while pushing his first novel, Hall of Mirrors, along. We encounter him as a young husband and parent, balancing the needs and responsibilities of art and life. We re-enter the maelstrom of attitudes that swirled around the Vietnam War. In the end, the book leaves a taste of betrayal and disillusionment. Stone writes, “Life had given Americans so much by the mid-sixties that we were all a little drunk on possibility. Things were speeding out of control before we could define them. Those of us who cared most deeply about the changes, those who gave their lives to them, were, I think, the most deceived.” The rest of this paragraph (on p. 161 of the book) stands as a marvelous encapsulation and assessment of the times. Bill Belleville’s Losing It All to Sprawl: How Progress Ate My Cracker Landscape (University Press of Florida) is also a book most notable for its author’s descriptive power. This searingly beautiful work, at once plea and elegy, confronts what we have sacrificed for residential-commercial development and short-term convenience. It is at once a teaching text in which we learn about the ecosystem that we have so thoughtlessly and rapaciously undermined and a personal story of one individual’s confrontation with loss. Belleville is unabashedly emotional, as well as logical, in his response to the sprawl that threatens to turn Florida into a desert. His sojourns in the remaining protected areas in and around Seminole County are pilgrimages to holy places. They are also journeys back in time to a unique and glorious landscape and a spontaneous unfolding process of renewal and adaptation. Belleville literally worships unspoiled nature, and he shares his reading of what it reveals much like a priest exploring scripture. Bill Belleville teaches us to appreciate the integrity with which Cracker architecture raised domiciles whose design did not attack the hot and swampy environment, but rather took advantage of it by working with it. He patiently explains the price of progress, how the paving over of our state not only creates unmanageable runoff of poisons but also undermines the delicate balance of rain, natural water storage, and natural water flow that allows this peninsula to exist. Dry wells, sinkholes, and impoverished flora and fauna are consequences of greed and irresponsibility. And much worse is to come. In the final stages of the book, Belleville describes the damage wrought by hurricanes to the Sanford area he has come to love. But such natural forces are nowhere near as destructive, both spiritually and materially, as the proliferation of asphalt and the countless temples to vapid consumerism that violate a once-glorious wilderness. Losing It All to Sprawl is a mighty and moving achievement, a telling antidote to the pro-growth boosterism that shapes the decisions of all too many private and public leaders. 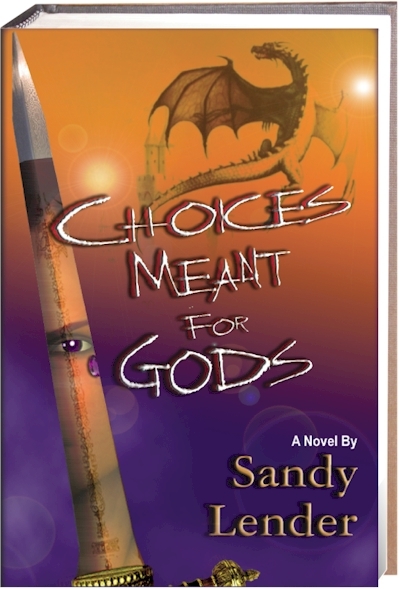 Sandy Lender, whose fantasy novel Choices Meant for Gods has just been released, is a native of Homestead, Florida who grew up in the St. Louis area. In school, she always loved writing assignments and won many awards for her short stories and other student writing. After graduation from Truman State University in Missouri, Lender worked as a proofreader, editor, and writer for various trade publications ranging from Hereford World to North American Elk Breeders Association to Asphalt Contractor. Now she serves in the publishing and public relations fields during the day and writes fiction at night, since 2004 keeping house in Naples where her love of sea turtles and all things related to the ocean waters keeps her imagination growing. PKJ: How did you get started on Choices Meant for Gods? SL: The process began when the main female character, Amanda Chariss, appeared to me on her benefactor’s balcony. I didn’t know it then, but I was watching her from the vantage point of the bad guy that morning. I fell in love with her instantly, which is probably why the dragon in the story cares for her as deeply as he does. This was back in high school, believe it or not, when I was just getting a good listen to an album (yes, vinyl, but my copy was on cassette then) by a group called Arcadia. They had an instrumental on the album called Rose Arcana, and I thought, wow, wouldn’t Arcana make a great name for some family legacy, some ancient, powerful castle where people with magic are accepted and protected and can grow up in peace? But nobody gets to grow up in peace. Amanda Chariss proves that. I didn’t sit down and seriously write out her story until 2000-2001, completing the novel in the summer of 2002. PKJ: Do you have any favorite authors in the fantasy field? SL: I admire the way Terry Goodkind weaves a story, and his generosity of spirit when I met him in Kansas City a few years ago went a long way toward making me a loyal fan. I’m also a big fan of Charlotte Bronte, and if anyone tells you she wasn’t a fantasy author, they weren’t listening to Mr. Rochester when they read Jane Eyre. I also have a deep appreciation for the fantasy authors at ArcheBooks Publishing. They’re people who can build clever plots and create realistic characters, and then can turn into marketing machines to let you know their stories are out there to be enjoyed. PKJ: What was that novel doing since 2002 when you had essentially finished it? SL: It was sitting in a computer file waiting on the publishing industry. When I completed the book, I started sending query letters to literary agents in the fantasy genre. I think you’ve heard this story before: they don’t take chances on people they’ve never heard of. Even though I had a strong editing and writing background, that background was in the magazine/journalism industry, not full-length novels and fiction. All the literary agent looks at is a two- or three-paragraph letter stating who you are and what you’ve written. Then he or she has a secretary send back a form letter stating he or she is too busy to take on new clients. After a year of that nonsense, I was looking for other avenues into the industry. Then I learned that I had the opportunity to pitch the book directly to ArcheBooks Publishing at the Naples Press Club Writers Conference in January 2006. I had done some playing with it from time to time during the querying process, but it was written the way I had formed it in my head after all those years of carrying the characters around, jotting down scene after scene after scene since high school. After I sent the book to the publisher and he suggested it was “long”, I sat down and revised again, this time editing it down by nearly 40,000 words, which tightened and strengthened areas to make the plot flow more easily for a reader. I also asked two strangers I met online to read it and give me criticism. One of them just sort of raved, so, while that was an ego-boost, that wasn’t really useful. The other made comments I was able to incorporate into the 40,000-word editing process. SL: The sequel to Choices Meant for Gods is almost complete and it will complete the series, but I have a prequel that tells of Amanda Chariss’s ancestry before the Second War in Onweald. I also have a non-fiction literary piece in production called The Concept of Home in the Bronte Works and a couple of other fantasy novels under construction. You can keep up with Sandy Lender, and also brush up on your grammar and other writing concerns, by visiting: todaythedragonwins.blogspot.com. Choices Meant for Gods is available from archebooks.com and from major online and bricks-and-mortar (stucco, in Florida) booksellers. Back in 1974, Nancy Poffenberger’s son wanted to play the piano, but he did not wish to take formal lessons. Nancy devised a simple method, involving putting stickers with colors and letters onto the piano keys and preparing an accompanying instruction book. Soon, the neighborhood children were coming over and playing – and enjoying themselves. So Nancy, herself a 4th grade teacher, made up about thirty books and field-tested the system she had devised in various schools in and around Cincinnati. The teachers loved it, and before long Nancy Poffenberger was the author of Piano Fun Book One – which has now been in print for over thirty years. The book was originally brought out by a small commercial publisher, but that firm soon folded. The copyright reverted to Nancy, and she reissued the title through her own company, Fun Publishing. Over the years, the original book was supplemented by several other “Piano Fun” books and by several “Recorder Fun” and “Xylo-Fun” titles. These titles, which have been featured in major publications regionally and nationally, all remain available. Nancy enjoys the extra measure of control over her work that comes with being her own publisher. Simplicity is the key to the success of this series. Not only does it work for the youngest students, it works for older people who want an easy, tested method. It has also been a success in special education programs, in nursing homes, and elsewhere. Fun Publishing became something of a family enterprise, as Nancy was aided by the expertise of her husband, John, who is a patent and copyright attorney. She even got John interested in authorship, and his How to Coach Winning Soccer, a basic guide for novice coaches, is one of their Fun Publishing titles. Nancy switched gears from being the “music lady” to some new concerns soon after the disaster of 9/11 struck. A grandmother (now of nine grandchildren), she felt that young children were not being addressed in any useful way about such momentous world events. Television was filled with images and endless reporting and analysis, but there were no materials directed at children – who could only be shocked and confused by what the media presented. Inspired by a talk at a regional book fair in Indianapolis to try something “out of the box,” Nancy decided to fill this vacuum. In an epiphanic moment while driving home, she planned the book that she subtitles “a simple account for children.” Published in 2002, September 11th, 2001 is a straightforward, accessible narrative interspersed with illustrations by schoolchildren. The book was praised by educators and did very well on a national scale. 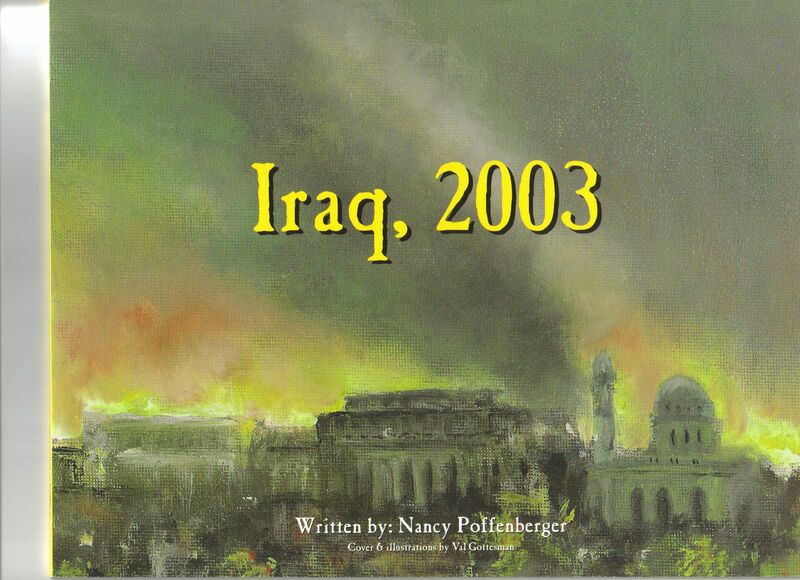 More recently, Nancy brought out a related children’s book – Iraq, 2003. This one aims at an overlapping but somewhat older audience. Illustrated by Val Gottesman, the Iraq book places Iraq geographically and relates regional events from 1980 up to President Bush’s declaration of an end to the major conflict in May of 2003. Teachers value it because it enables them to fulfill state education requirements in geography, history, and current events in an interesting way. Nancy Poffenberger is a Northwestern University graduate and winner of the university’s outstanding student-teacher award. She taught Elementary school in Palo Alto, California, and attended graduate school at Boston University before settling in Cincinnati. She and her husband began visiting Naples for winter vacations about ten years ago. Recently, their Naples time has increased – and now they have become Florida residents and spend about half of the year here. And Florida must be getting into Nancy’s blood. She hinted that she is working on a new book with a Florida focus. Nancy Poffenberger’s books are available from major book retailers and from her own website, funpublishing.com. To engage her for a demonstration or as a motivational speaker, send email to funpublish@aol.com. When Wade Keller moved to Marco Island in 1995, he immediately became active in the Naples Rotary Club and began writing a “Spotlight” column for the club’s bulletin. These were 500-word profiles of the Rotary Club’s members. Wade wrote about eighty of these over a two-year period. One of those members, Edward Elliott, thought Keller had done such a good job on his profile that he asked him for help in writing his memoir. This ghostwriting stint was the first step in Keller’s progress from retired CPA to owner of a busy vanity press with satisfied customers. Keller was born in Greenville, Georgia where he worked in the family grocery store. Later, he served in Vietnam, earned degrees in accounting, and taught college. While building his CPA firm, he began writing a financial column in a local weekly. This experience infected Keller with the writing bug, so agreeing to do the Rotary Club’s “Spotlight” column was just a natural continuation of the pleasure he had received from his newspaper column. When I asked Keller about his transition from CPA to memoir editor-ghostwriter, he said that for him it was no big deal. His right brain and left brain activities nourished one another. As a CPA, he had gathered data (cancelled checks, invoices), organized it, and reshaped it into financial statements. In helping his memoir-writing clients, he taped interviews, reviewed their notes, false starts, life documents and photographs, and organized these materials in a way that made for effective story-telling. The original idea was simply to offer ghostwriting services, but soon the need to bring these projects into print led Keller to develop Keller Publishing. His business has grown by word of mouth, as one satisfied customer leads to another. After Edward Elliott’s Taking the Thread Back came out late in 1998, Keller was approached to work with Joseph Callahan on Shoot for the Pin, which came out the following year. Things went slowly through the first years of the new century – only four books in five years. But then, in 2005, the press took off and Keller Publishing now has eighteen books in print and six more in the pipeline. In becoming a publisher, Keller defined his particular contribution as what it had been from the beginning – organizing, shaping, and ghostwriting. He has engaged an individual in New Hampshire to take care of book and cover design. 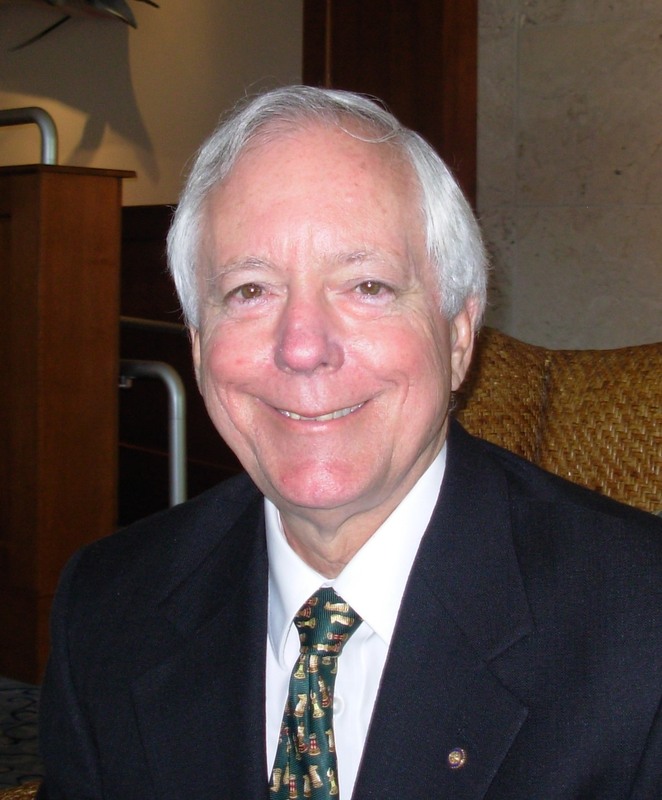 He has contracted with Ingram to handle the distribution of Keller Publishing titles. These are not unusual outsourcing steps, but rather how most publishing firms work – large or small. Keller takes bids from various printers and decides which one will give him the quality he requires at the best price. A recent project, Charles Strasser’s From Refugee to OBE, led Keller to contract with a printer in Shanghai. The next step will be to find the right public relations firm. Other Keller Publishing titles include Gail G. Thomson’s The Making of a Surgeon, William R. Rose’s Tell Me a Story, Grandpa, Lynn Bonasia’s poetry volume A Family Journey, and Edward G. Storie’s At the Helm. Memoirs by Joe Manoni and Glenn Williams include sections on wartime service. 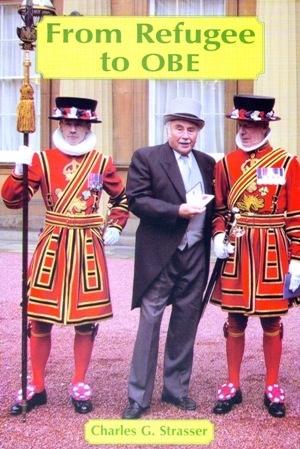 Maury Atkin’s Life’s Voyage tells, among other things, of Atkin’s work in helping to found the modern state of Israel and to gather support for its survival during its early years. There is, indeed, a great variety in the life experiences revealed in books that Wade Keller has nourished to and through publication. Keller Publishing has brought out two titles by the Polish-born neurosurgeon Janusz Subczynski, detailing different periods in his life. The first, In the Shadow of Satan, tells of the author’s experiences living under Nazi and Communist regimes. The Colors of Life focuses mainly on his life after immigrating to the United States. As more manuscripts come his way, Keller sees increasing quality, along with enhanced marketing prospects, for his new and future titles. New contracts, in some cases, have royalty arrangements. Yet he does not intend to become a trade publisher. Just as he is content to focus on ghostwriting and leave design and publicity to others, Keller is content to fill the need for what he calls a “boutique, for-a-fee” publisher. And he is content to specialize in memoirs. Keller’s credo is to focus on what he knows he can do well. Check up on this interesting enterprise by visiting kellerpublishing.com.